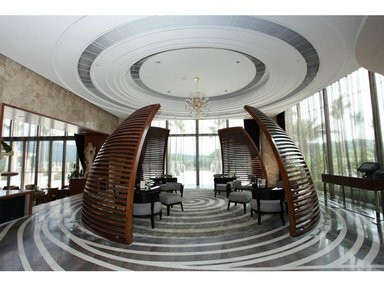 Located near the city of Shenzhen, the magnificent Mission Hills - Shenzhen is truly a destination like no other. 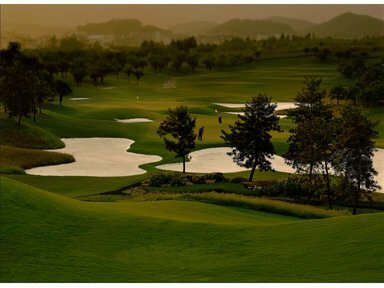 Integrated into the Mission Hills Golf Club, officially ranked as the world's largest golf complex, it is one of the Southern China's finest 5-star hotels and a coveted retreat for vacationers, business travelers and golfers. The Mission Hills Resorts has been recognized as the "Leading Golf Resort" in both China and Asia, and was named "Best Holiday Resorts by the prestigious China Hotel Golden Pillow Awards. The Mission Hills Resorts is China's only five-star resort integrated into a golf complex, and offers an alluring combination of deluxe accommodation plus some of Asia's finest sporting, spa and leisure facilities. 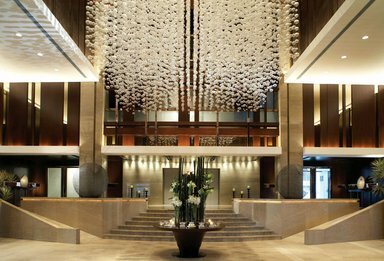 The hotel features over 500 guest rooms and suites spread across Shenzhen and Dongguan, each offering its own interpretation of a tropical golf and leisure paradise. In addition, the resort offers twelve 18-hole world-class golf courses, four clubhouses, Asia's largest spa destination and collection of world's well know brands in MH Galleria, 51 tennis courts with professional golf academies, an exhibition center, and several fine dining restaurants. Mission Hills China offers a range of world-class facilities ideal for hosting small to large scale events, such as banquets, weddings, meetings, seminars, summits, exhibitions, expos, shows and concerts. An experienced, in-house team works closely with our clients to address individual needs, plan and manage the event for a seamless, hassle-free experience. - In the event of a cancellation within 14 days, the deposit will be forfeited. - In the event of cancellation more than 14 days, we allow the postponement within 1 month from the original function date when deposit is made. The availability of the venue and date is subject to the actual booking circumstance and mutual agreement. - In the event of reservation within 14 days before function date, deposit should be made within 48 hours in order to reserve the venue. - In the event of reservation with 18 hours, payment must be made on the same date in order to reserve the venue. - However if cancellation is due to force majeure (such as typhoon No. 8 or Black Rainstorm Warning signal is hosted or flight cancellation etc), we allow the postponement (but not cancellation) within 3 months from the original function date. The availability of the venue and date is subject to the actual booking circumstance and mutual agreement - Mission Hills reserves all rights to interpret the terms and conditions. 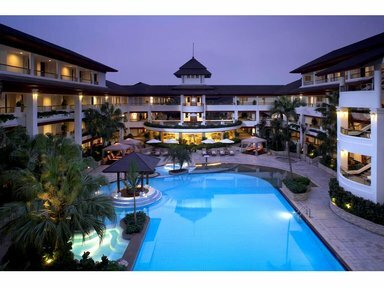 The Mission Hills Resorts is China's only five-star resort integrated into a golf complex, and offers an alluring combination of deluxe accommodation plus some of Asia's finest sporting, spa and leisure facilities. 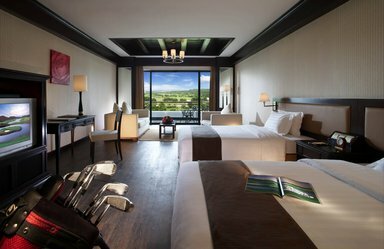 The hotel features over 500 guest rooms and suites spread across Shenzhen and Dongguan, each offering its own interpretation of a tropical golf and leisure paradise. In addition, the resort offers twelve 18-hole world-class golf courses, four clubhouses, Asia's largest spa destination and collection of world's well know brands in MH Galleria, 51 tennis courts with professional golf academies, an exhibition center, and several fine dining restaurants. Mission Hills China offers a range of world-class facilities ideal for hosting small to large scale events, such as banquets, weddings, meetings, seminars, summits, exhibitions, expos, shows and concerts. An experienced, in-house team works closely with our clients to address individual needs, plan and manage the event for a seamless, hassle-free experience.